Kinichiro Imamura spent 3 years doing nothing in high school. On the day of his high school graduation, Kinichiro falls down the stairs at school. He soon realizes that he is back to the day of his high school entrance ceremony 3 years ago! Yoshiko Usami, who is the captain of cheerleading squad, talks to him. 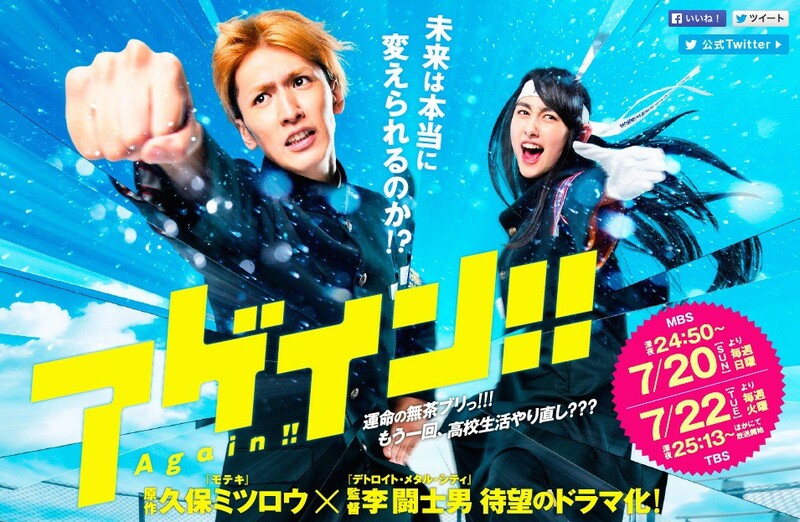 Based on manga series "Agein!!" by Mitsuro Kubo (published from April 6, 2011 to April 9, 2014 in Weekly Shōnen Magazine). luvluv Feb 09 2015 10:30 pm @KinKin where can i watch the drama?